Recently my husband and I ventured into the Tararua Forest Park from the eastern side. This was a first for me, and I was impressed. Just fifteen minutes drive from Masterton and you gain access to a fantastic range of camping, walking and tramping opportunities. 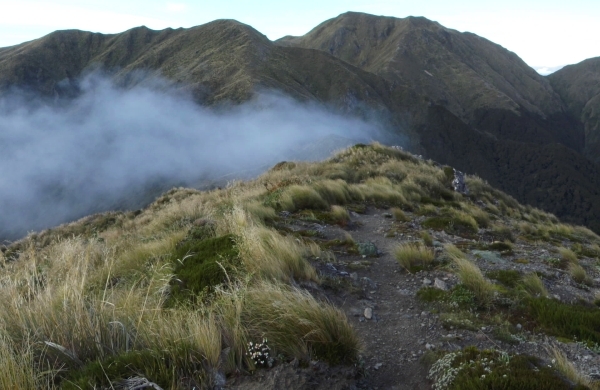 Our mission was the Mt Holdsworth Jumbo Circuit, one of the most popular tramps in the Tararua Ranges. But before I even got out of the car the tidy, extensive camping area at the road end had me planning trips with the kids for next summer. Once kitted up we set off, first passing Holdsworth Lodge, a 28 bunk lodge that can be booked by large groups, as well as two separate 4 bunk rooms for sole occupancy bookings. What a great place to bring a school group. Stepping into the forest and crossing the first bridge took my breath away. The forest was lovely—tall beech trees mixed with lush undergrowth, and a variety of walks available from short loop tracks to full day and multi-day tramps. We headed up the track toward Powell Hut—our destination for the afternoon. The track was wide and gravelled—well maintained to cater for the large number of people that use this popular track. The track climbed steadily and, after an hour or so, we reached Rocky Lookout. From here we could see Powell Hut perched just above the bushline and enjoyed beautiful views out of over the Wairarapa. Continuing on through an area of regenerating bush before heading back into the forest we encountered several fit runners completing the Tararua Mountain Race. 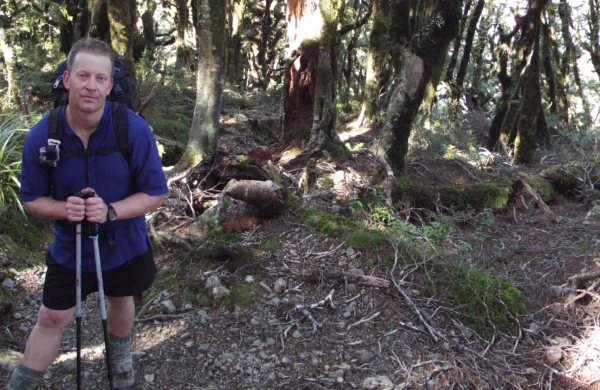 Soon the track went back into the bush and reached a fork—the track to the left heads towards Totara Flats. We continued straight on up to the Mountain House Shelter and stopped for a snack. As we climbed higher, steeper sections of the track were stepped and soon we were out into the sub-alpine landscape, leatherwood being a predominant species. The track continued on up more steps for a short time, and in just on 3 hours walking we were at Powell Hut. Powell Hut is a lovely large 28 bunk hut. During peak season it is necessary to book a bunk. We were joined by four others, making for a fairly quiet night. 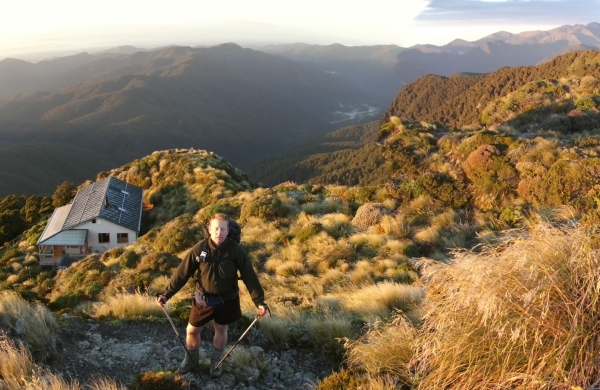 With an early start the next morning we made the most of fine, clear weather and reached Holdsworth Peak quickly, enjoying the amazing 360 views and even glimpsing Kapiti Island. The walk along the tops undulates somewhat, through tussock and beautiful alpine plants. While the track is not gravelled, it is well travelled and therefore very easy to follow. Soon we started the descent to Jumbo Hut along a rocky, and at times quite narrow, ridge, before dropping to a broader area of tussock and down to Jumbo Hut itself, again, just above the bush line. Jumbo Hut sleeps 20 and, again, bunks need to be booked for the peak season. It is an older and smaller hut than Powell Hut. From Jumbo Hut the track heads straight back into the forest and is fairly steep for the next 1.5 hours. Hiking poles certainly help on downhill tracks like this. Beech leaves carpet the forest floor and the forest has a magical quality to it. At the base of the descent we reached Atiwhakatu Hut and sank gratefully down at the picnic table for lunch. This hut sleeps 26 and has several separate bunk rooms—a great destination for those who want to get into the outdoors but aren’t too keen on climbing big hills! The walk back to the road end was mostly flat and crossed several streams with a variety of bridges. There is a slip over part of the track, which needs care when crossing, but otherwise the final section of our tramp was a nice, easy stretch out. Twenty minutes before the road end we passed through Donnelly Flat—a great spot for summer camping beside the river. 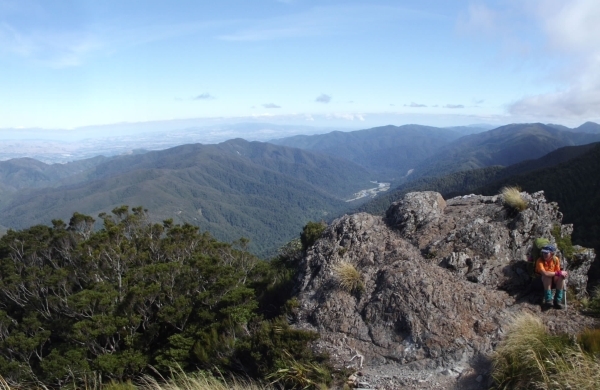 There is an abundant variety of outdoor opportunities and accommodation in Tararua Forest Park and the Mt Holdsworth area caters for users with a range of ages, abilities and experience. We’ll definitely be heading back with the rest of the family!